At the end of the 80’s, Brazil elected its new president, called Fernando Collor de Melo. One of the things Fernando Collor de Melo did was to suspend all the laws that supported film production in Brazil. So for three years or maybe a little before that, whilst he ruled the country, Brazil didn’t make any films. I think there was one film, maybe two, maximum, which was a real problem for production companies, such as the one I have with my brother, Waltinho, where we used to make TV series, documentaries and features. Suddenly we couldn’t do that anymore. So we, like any other production company in Brazil, had one solution only, and that was advertising. We all started making adverts. Video Filmes, which is our joint production company, became one of the biggest advertising production companies in Brazil. The other production company was Fernando Meirele’s O2, based in São Paulo. That had another consequence, which is not important to this conversation now, but as a little parenthesis, a whole generation of directors in Brazil learnt film practice by making adverts, and come the 90’s one can see that in a lot of films. Productions extraordinarily… well, very well produced, virtuous filming techniques using all of film’s technical resources. Extraordinary photography… and all of this was a consequence, for better or worse, of a generation of directors who started making films, having learnt the basics of filmmaking on 30 second film sets with big budgets, because the advertising industries in Brazil have always been expensive and required a lot of money. So there you have it, a little parenthesis. And what does this have to do with Santiago? Well, it’s very hard to make adverts even though it’s an important learning curve; it’s a job without any perspective of permanency. It’s never work that “lasts”. And that has consequences in our brains. One starts to feel as if one is living in a desert. So, in ’92-’93, I decided to start using the off cuts of some advertising campaigns to start filming ‘Santiago’. It’s a film that, at that time, in its origin, was made completely unprofessionally, in the sense that we didn’t have a “project” or an “incentive”. We picked up the cans that were left from other advertising projects and spent five days at Santiago’s house, someone who had been very important to me. At the same time, around ’93-’94, Collor’s mandate was over, and Fernando Henrique Cardoso, the following president, had already changed the laws of film production in Brazil, and Waltinho, my brother was already in production of ‘Foreign Land’ which was made with the same off cuts, same camera, and same cinematographer, Walter Carvalho. So some of the footage was adverts and some of it was my brother’s film, ‘Foreign Land’. With those offcuts and a crew we went to Santiago’s house and we shot the film in 5 days. I got into the edit suite just after that and then, as I told you yesterday, I tried to edit it but I couldn’t do it. The film was to be all about Santiago as an exotic character… a character that already existed before being filmed, I mean, he existed in my head more than anything. I just wasn’t prepared to take in whatever Santiago had to tell me. I had preconceived ideas. 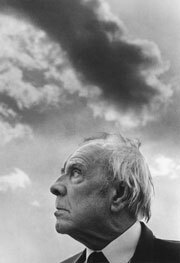 The character that I had imagined could have been taken from ‘Funes, the Memorious’, that story by Borges. And I thought Santiago was similar. Therefore, I never meant to be a character in the film, my relationship with him wasn’t to be part of it. All those takes weren’t to be used, except for the last one and it wasn’t supposed to be narrated. It was to be a portrait of a picturesque character. And… the film didn’t work! We can talk about it later. But… I gave up. I couldn’t see that it should simply be a film about the relationship we had… and I didn’t touch the film for 13 years.